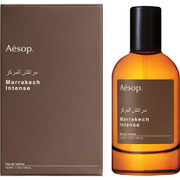 Experience the crisp, citrusy notes of Aesop's Tacit Eau de Parfum Fragrance. Synergising a contemporary blend of basil and grant vert, the fragrance takes inspiration from the scent of traditional cologne and the culture and vegetation of the Mediterranean coast. 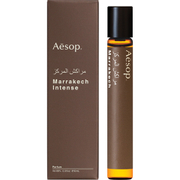 A vivid combination of citrus and spice form this classic and alluring scent. - K.N. Alcohol Denat., Fragrance (Parfum), Water (Aqua), Polysorbate 20, Polysorbate 80, Pentaerythrityl Tetra-di-t-butyl Hydroxyhydrocinnamate, d-Limonene, Linalool, Butylphenyl methylpropional, Citral, Geraniol, Citronellol, Eugenol, Isoeugenol. Apply as desired to wrists and neck.